I don't know about you guys, but sometimes I get tired of the usual backstabbing, scheming and intrigue found in dramas. It would be nice to find a show where you can just relax to a lighthearted plot without tiptoeing to see what schemes are waiting around the corner. Well, it seems Well Intended Love 奈何BOSS要娶我 is one such drama. 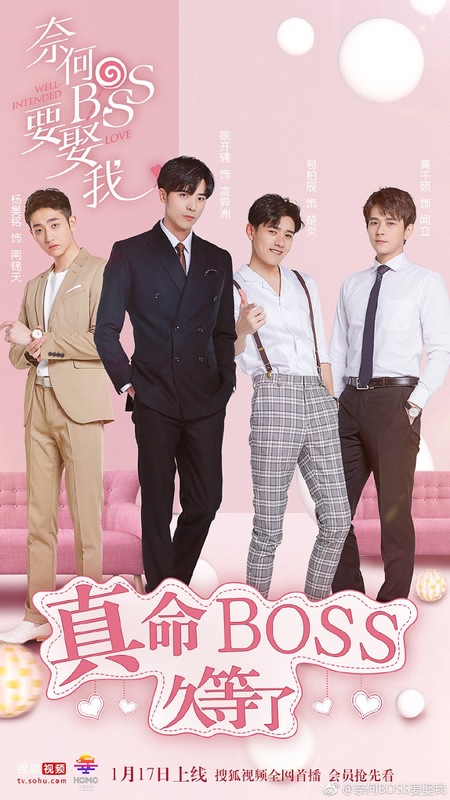 The fun little number airing on Sohu and Mango TV is about an actress and a big boss. She is sick with leukemia and he's the man that she needs. Somehow, he ends up proposing to her. They work out an agreement and they're married by the first episode. Despite not having a very original storyline nor a huge budget nor big stars, this seems to have gotten the attention of viewers, mainly because of the humor, the playful plot and of course, the good looking actors. 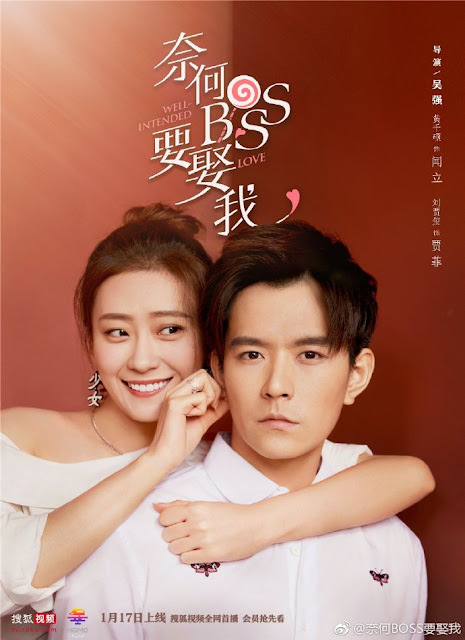 Xu Kaicheng plays the cold-blooded company president Ling Yizhou who is very sweet towards his wife. 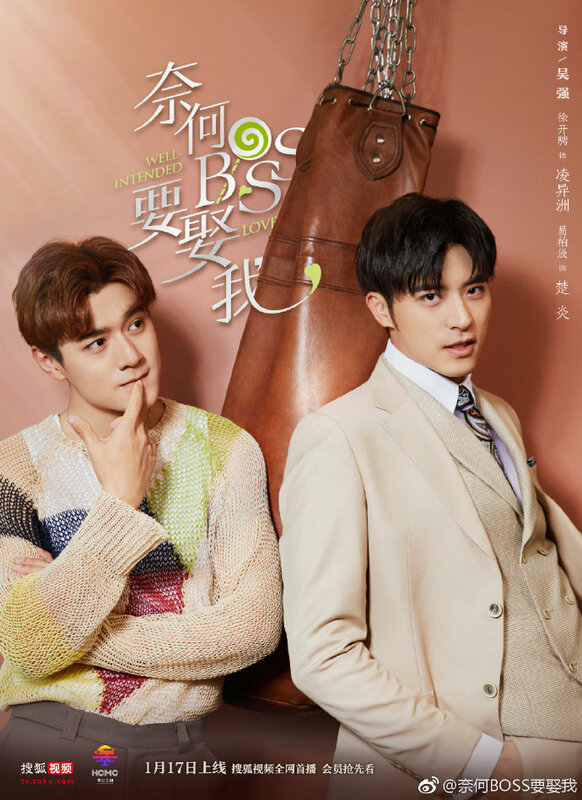 The actor resembles Wallace Huo a little. He has previously appeared in dramas like Moonshine And Valentine and I'm A Pet At Dali Temple. Wang Shuang doesn't seem to get equal attention, but she creates a likeable personality as the leading lady. 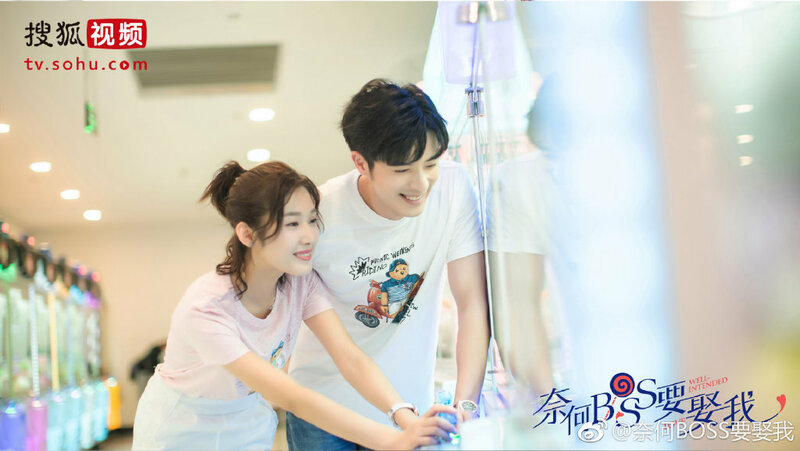 Ian Yi is a member of the group "Spexial" and he plays Chu Yan, the best friend of Ling Yizhou. 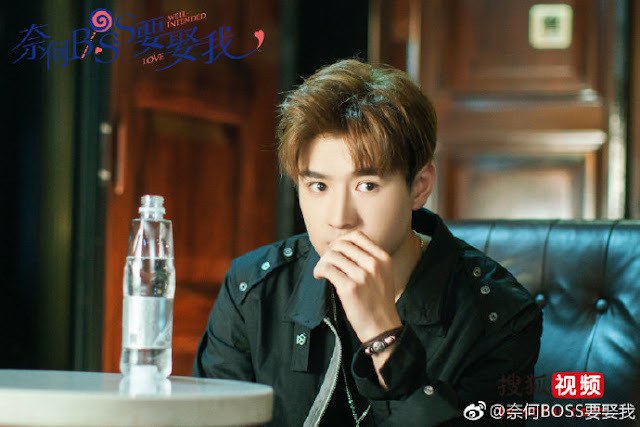 Yang Haoming who plays Nan Jintian is hard not to like despite being a villain. Huang Qianshuo plays Wen Li, the boss's secretary. If you guys are out to watch something fun sans senseless angst and has handsome guys, why not give this a try. I've been wanting to watch this but there's no eng subs yet from the looks of it. They have them on youtube and are done very well! This looks cute but unfortunately no english subs available. 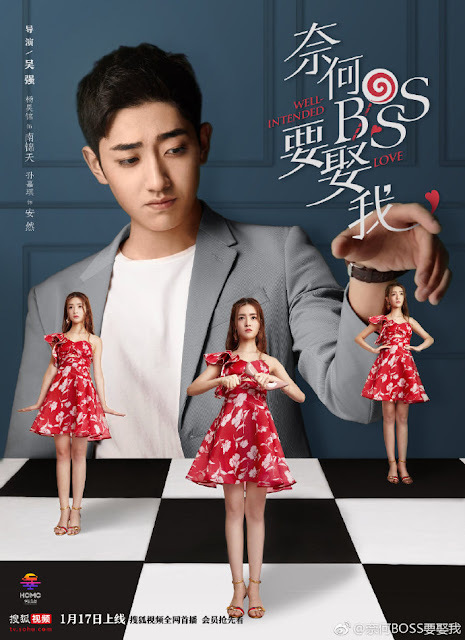 Hopefully it will get subbed,as I'd really like to watch this drama. There are eng subs , but they are Google translated and give you a brain damage if you try to watch. 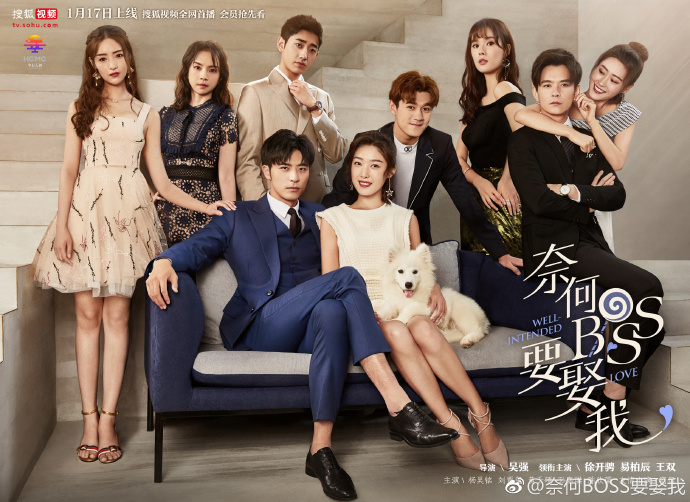 i really love this drama. im inlove for both main character. they are sooo cute and loving. Does it have a new episode now? how often do new shows get released? When s the net date? I watched the first few episodes with proper English subs and I love the series. But subsequent episodes have Google-translated Eng subs. I will just wait for the true Eng subs before continuing. The series is actually great! Where did u watch it? Would u mind giving me the link?